Go for a jaunt from Sydney to Manly to see Shelly Beach about 36 minutes away. Spend the 7th (Mon) exploring nature at Sydney Harbour National Park. 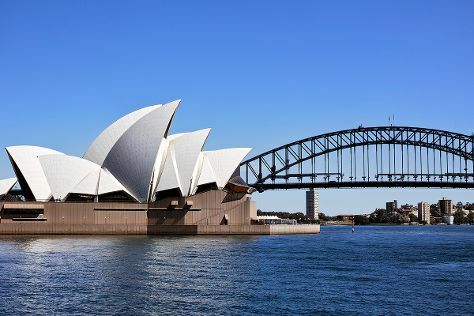 There's still lots to do: see a show at Sydney Opera House, take in nature's colorful creations at The Royal Botanic Garden, don't miss a visit to Sydney Harbour Bridge, and wander the streets of Darling Harbour. London, UK to Sydney is an approximately 24-hour flight. You can also do a combination of flight and bus; or do a combination of flight and train. Due to the time zone difference, you'll lose 10 hours traveling from London to Sydney. Plan for much warmer temperatures traveling from London in January, with highs in Sydney at 32°C and lows at 23°C. Finish your sightseeing early on the 14th (Mon) to allow enough time to travel to Cairns. Start off your visit on the 15th (Tue): take in nature's colorful creations at Roma Street Parkland and then let little ones run wild at South Bank Parklands. Get ready for a full day of sightseeing on the 16th (Wed): look for all kinds of wild species at Lone Pine Koala Sanctuary and then get great views at Mount Coot-tha Lookout. 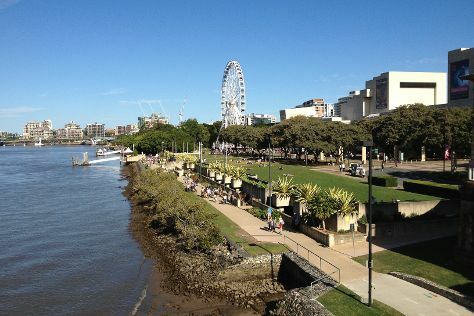 To find where to stay, ratings, photos, and other tourist information, go to the Brisbane trip itinerary planning app . Traveling by flight from Sydney to Brisbane takes 4 hours. Alternatively, you can do a combination of flight and bus; or drive. In January, daytime highs in Brisbane are 34°C, while nighttime lows are 25°C. Wrap up your sightseeing on the 16th (Wed) early enough to travel to Cairns. Explore Cairns' surroundings by going to Alexandra Bay Waterfall (in Diwan), Palm Cove (Annie's Ladies Boutique, Palm Cove Beach, & more) and Port Douglas (Safaris, Coffee Works, & more). Spend the 17th (Thu) among aquatic life with a scuba or snorkeling tour. Spend the 25th (Fri) exploring nature at Daintree National Park. The adventure continues: take a peaceful walk through Daintree Rainforest - Cooper Creek Wilderness, tour the pleasant surroundings at Trinity Beach, identify plant and animal life at Mossman Gorge, and admire the sheer force of Josephine Falls. To find maps, other places to visit, reviews, and more tourist information, go to the Cairns online attractions planner . Getting from Brisbane to Cairns by flight takes about 5.5 hours. Other options: do a combination of bus and flight; or drive. Expect a daytime high around 37°C in January, and nighttime lows around 28°C. On the 2nd (Sat), you'll travel back home.